Welcome to the Bygone Bungo blog. 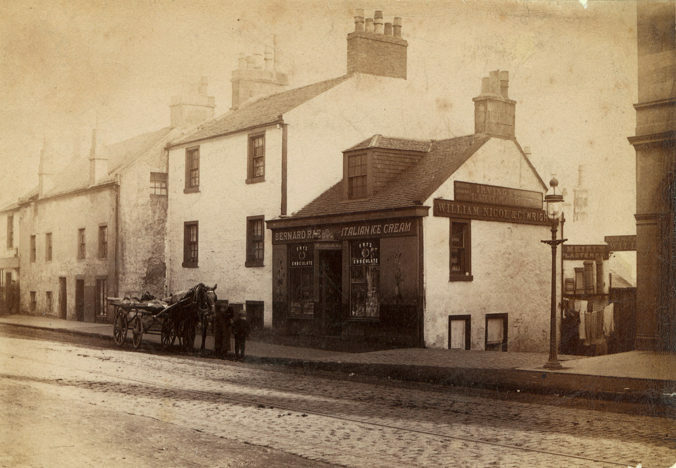 We aim to collect and summarise all that is known about the dear little place we know as Strathbungo. Over recent years I have amassed a wealth of information, from historical accounts and swathes of records, to many timeless photographs. This blog allows me to share them with a wider audience. Not everything is on the site yet; items will be added as time allows. Future plans include then and now photographs of the area, maps through the ages, and further articles. The database of properties and previous residents is already running – you can search through some 5000 landlords and residents from the late 19th and early 20th centuries on the Address Search page. So if you have ever wondered about the history of the area, who built it and why, or who lived here, or you have information of your own to add, delve in. Thank you for the site and all the information on it, really enjoyed reading about the area and looking at the old photos. You mentoned wanting to look at deeds to a property on the southside of carswell gdns., if this is still the case I have deeds and would be happy to send a copy. Thanks for the deeds. Some useful lines of enquiry regarding the builder of that side of Carswell Gardens, and indeed land ownership. Would be interested if anyone else on the south side of Carswell has old deeds. The blog is brilliant and obviously the product of research and a lot of work. Thank you very much for taking the trouble, it is much appreciated and I will be a frequent visitor.